How to designate a Funder to a funded deal? Whether you are a Broker or a Funder, you may want to associate a funded deal with a Funder in MCA Suite. Brokers might like to track funded deals by Funders so they can see how many deals they have sent to a particular Funder. Funders using MCA Suite could have multiple subsidiaries or funds setup and may want to track funded deals by each subsidiary. Before you can associate a Deal with a Funder, the Funder(s) must be a Company Contact (i.e., a Company with a Contact Type of "Funder") in your MCA Suite instance first. Brokers and Funders can associate a funded deal with a Funder by going to the Deal > Details page, scrolling to the Offer section and looking for the Funder label. The Funder text box is a lookup field that searches for companies that are Funders (with a "Funder" contact type, which is why it is imperative to label your Funder companies with the correct contact type). 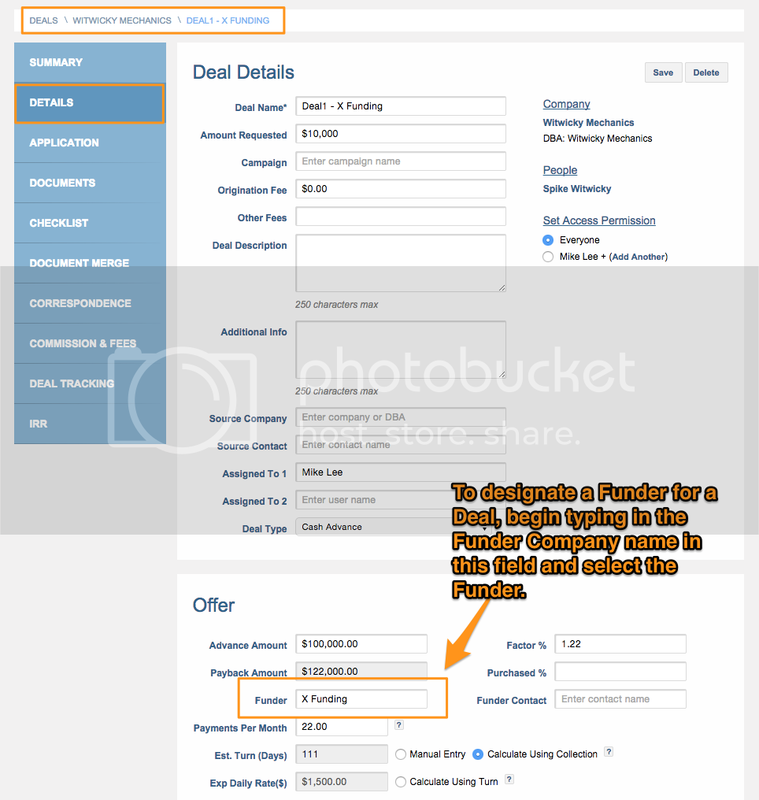 Select the proper Funder from the list to designate the deal as funded by the chosen Funder.